Saw this one from the Huffington Post and I admit that it has got to be one of the cutest baby pics I've seen so far. 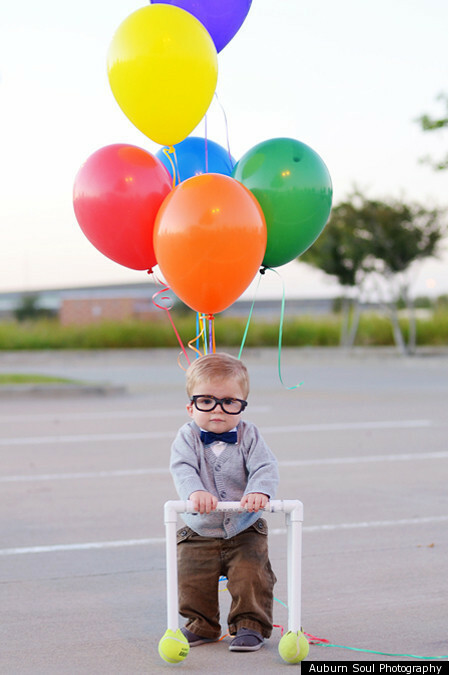 Mom Stephanie Read transformed one year old Rizden to the beloved Carl from the movie Up. I just want to grab this baby and kidnap him!